The Patient 3.0 Profile is used to explore to the patient engagement strategies of early adopter baby boomers' in three domains: 1) patient relationships, 2) health information use and 3) consumer health technology (CHT) use. Findings from six focus groups with early adopter boomers challenge prior notions about older adults' passive approach to patient engagement. Baby boomers want to make final healthcare decisions with input from providers. While adept at finding and critically assessing online health information for self-education and self-management, boomers want providers to curate relevant and trustworthy information. Boomers embrace CHTs offered through providers (i.e., patient portals, email and text messaging) and sponsored by wellness programs (i.e., diet and activity devices and apps). However, there is no indication they add information to their online medical records or use CHT for diagnosis, treatment or disease management. Additional resources are needed to encourage widespread adoption, support patient effectiveness, and confirm cost-benefit. During the baby boom (1946 to 1964), birth rates increased from 20 live births per 1000 before and after the boom to a high of 26.5 in 1947 (Colby, 2015). As boomers age, they are expected to live longer with more chronic conditions (Garcia, Harrison, & Goodwin, 2015; Gaudette, Tysinger, Cassil, & Goldman, 2015). These factors along with advancements in healthcare and boomers’ sheer number are expected to contribute to a rising dependency ratio (number of adults age 65+ to those 18-64 years of age) (Badley, Canizares, Perruccio, Hogg-Johnson, & Gignac, 2015; Garcia et al., 2015; Gaudette et al., 2015; Knickman & Snell, 2002). The ratio is expected to rise from 1.2 before the boom to 3.5 after the last of the boomers turn age 65 in 2030 (Colby & Ortman, 2014). This high ratio increases the economic burden of aging on society (Knickman & Snell, 2002) as a smaller working-age population finances the health and welfare of a growing older, non-working population (Johnson, Toohey, & Wiener, 2007; Institute of Medicine, 2008). Additionally, healthcare resources will be strained (Gaudette et al., 2015; American Hospital Association, 2007). Medicare enrollments will increase by 63% as boomers age into Medicare – up from 49 million beneficiaries in 2011 (US Center for Medicare and Medicaid Services, 2013) to over 80 million by 2030 (Medicare Advisory Commission, 2015). Strikingly, the 65+ population will double from 2011 to 2050 (Jacobsen, Kent, Lee, & Mather, 2011). Engagement of consumer-patients in the management of their health and healthcare is proposed to improve health outcomes and achieve efficiencies in care delivery (Hibbard, Greene, & Overton, 2013; Millenson & Berenson, 2015; Raffaeli, Spinsante, & Gambi, 2016; Zarour, 2017). 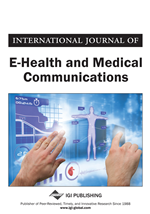 Three primary engagement strategies are proffered to prepare and engage consumer-patients: collaboration with their healthcare providers, self-education through health information use, and consumer health technology (CHT) use for self-care (Carman et al., 2014; Gagnon & Chartier, 2012; Gee, Greenwood, Paterniti, Ward, & Miller, 2015; LeRouge, Tao et al., 2014). Marked by the passage of key legislation (US Congress, 2009, 2010, 2015), these patient engagement strategies are relatively recent innovations. As Rogers (2003) noted in his seminal book, Diffusion of Innovations, studying early adopters can improve implementation efforts and result in an increase in the rate of adoption by subsequent adopters. We use the Gagnon and Chartier (2012) Patient 3.0 Profile, which addresses all three patient engagement strategies as a conceptual framework to recruit early adopter baby boomers and understand how they put the three engagement strategies to use.